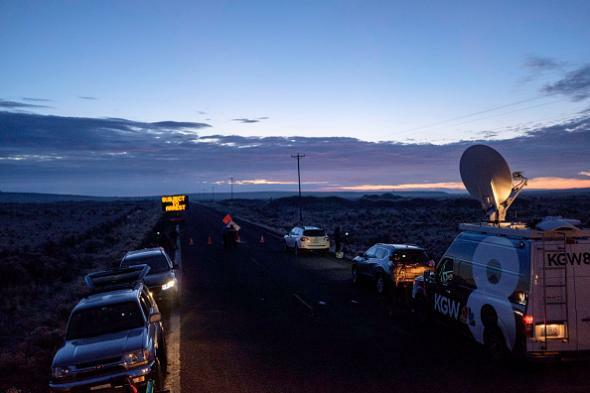 A checkpoint four miles away from the Malheur Wildlife Refuge headquarters in a photo taken Thursday morning. Update, 2:10 p.m.: David Fry has surrendered into FBI custody without harming any agents or himself. The Malheur Wildlife Refuge is now back under public control after 41 days of occupation. "I'm really confused right now," Fry says. Hall tells him that's OK. "But you can take a step forward and go out." The Oregonian is streaming tweets from reporters who are covering the story here.